I'm happiest strolling the charming streets of Old Town Alexandria or snuggled up at home with a cup of tea, bringing creative ideas to life! Hi! I'm Alicia - owner & founder of The Welcoming District. Having you here warms my heart, friend, and I so appreciate your visit! Hopefully you can sip a cup of tea and stay awhile! In 2015, I founded The Welcoming District when I saw a need for gifts more unique and special than something purchased from a store shelf. My dream came to life when I combined my belief that gifts tell stories with my desire to give you something truly special. Formal schooling in Floral & Interior Plantscape Design, practice defining my own style in calligraphy & watercolor painting, and years of service in the hospitality industry have helped pave the way to my niche in custom gifting. I'm so blessed to be able to share what I love to do to make you beautiful, meaningful gifts to welcome those most special to you! I love arranging them to make a space look fresh and welcoming! Stock and lilacs are my favorite for their lovely scent, but fluffy peonies, hydrangeas, and garden roses always make my heart skip a beat! there is always room for it, right?! My favoritE (if i had to choose) would be my mom's chocolate cream pie. My shoe of choice. I think they are the perfect combination of pretty and comfort. I LOVE EXPLORing Virginia's rich history and beautiful landscapes! While FAR FROM being A MINIMALIST, I really enjoy GETTING RID OF CLUTTER AND FINDING WAYS TO SIMPLIFY LIFE. It has truly helped me focus on what matters most. crafting has been a part of who i am for as long as i can remember. I always have a "project" going on and this nautical seersucker wreath is one of my favorite original creations. My faith is a huge part of who i am. hymns take me back to time spent in church when i was first learning about jesus. I am the happiest when i have a brush in my hand! this form of creativity is therapeutic and an affective way for me to express myself. If I can surround myself with Ivy covered brick and boxwood topiaries, I'm in a happy place. Old Town Alexandria is heaven on earth for this girl! My love for country music started at a young age with my dad taking us to "Alabama" concerts at the state fair and mom singing kathy Mattea songs as she ironed. Haha! THe Welcoming District's mission is to help others give beautiful, thoughtful gifts that tell their story & make each recipient feel loved, appreciated, and welcomeD. After time spent working in events at a hotel in Washington, D.C., I saw a need for gift boxes that featured items exclusively to our area . Many people visited the city for business/pleasure, but were greeted with gifts that could be purchased at major retailers all over the country. I founded The Welcoming District in 2015 with a mission to help others give beautifully crafted gifts unique to the D.C., Maryland, and Virginia region. 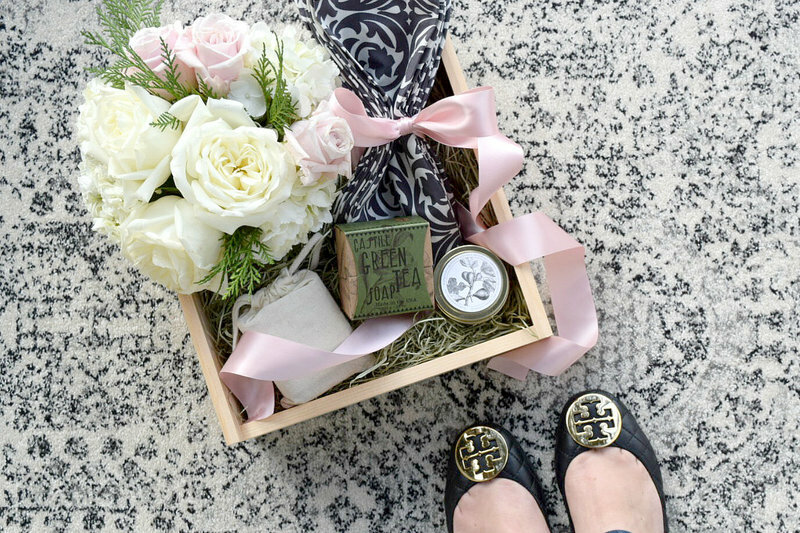 Each box was thoughtfully curated and included fresh floral and wonderful goodies of the highest quality from local artisans. 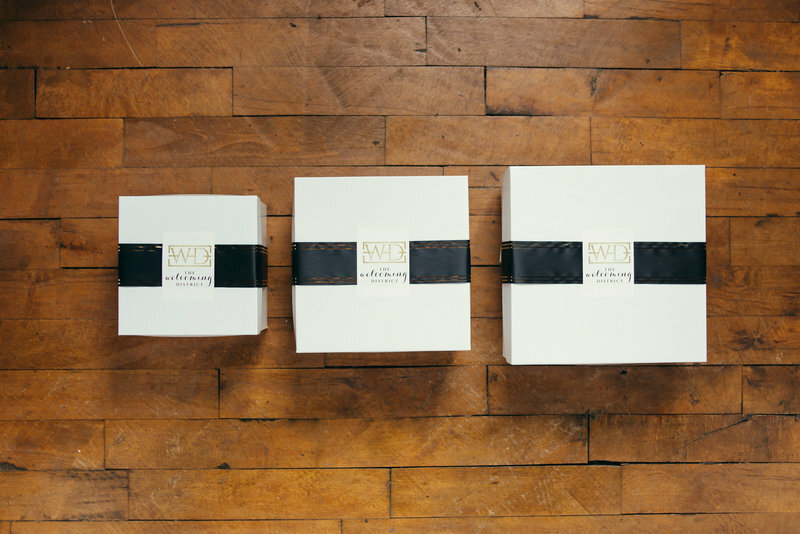 Later that year, I started shipping these gifts all over the U.S. (and one overseas) for those who wanted to send a little taste of the area to friends, family, and clients. Since fresh flowers couldn't be shipped, I included some extra goodies to take their place. About a year after being in business, I was asked to send branded gifts for a few creative entrepreneurs. They didn't need their gift goodies to represent a certain area; but rather, their businesses. Although it wasn't what I originally intended for The Welcoming District, I absolutely loved learning about their brands and designing gifts that represented them! It was definitely a turning point for my business. 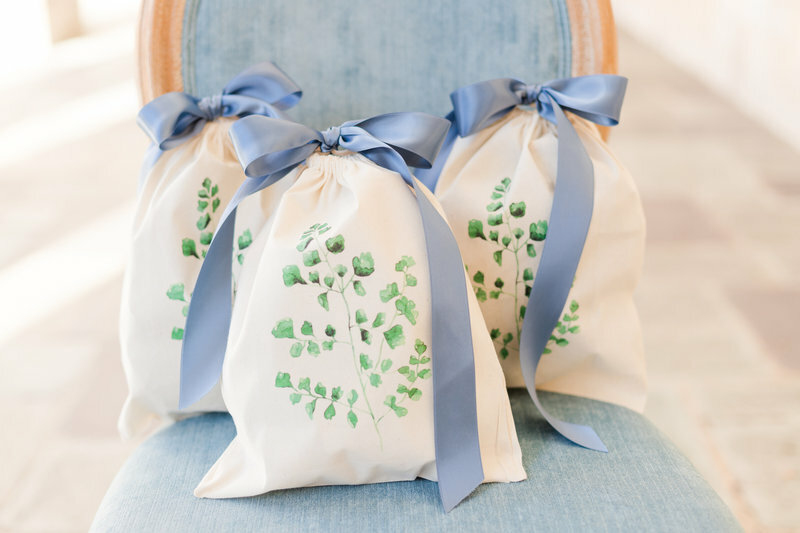 Shortly after designing gifts for fellow creative entrepreneurs, I decided to expand by helping couples welcome guests to their weddings with gifts that represented them and their love story! To celebrate the new mission and direction of The Welcoming District, we partied at Blackwall Hitch in Alexandria with creative entrepreneur friends! Making others feel special is what truly brings me joy! Custom illustrations allow me to offer you gifts as unique as your story! They can be used on welcome notes, gift tags, food and beverage labels, signs, stationery, and so much more! You are one-of-a-kind and what you give should be a representation of that. Today, I am so happy to offer you a welcoming service like no other! 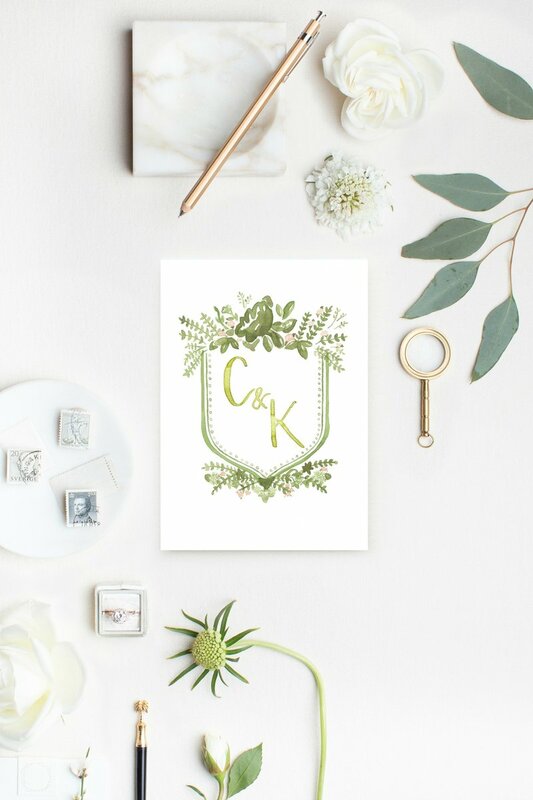 Whether you're welcoming guests to your wedding, event, home, or business, I can create something special that represents you! Welcome, friends! I'm so glad you're here!